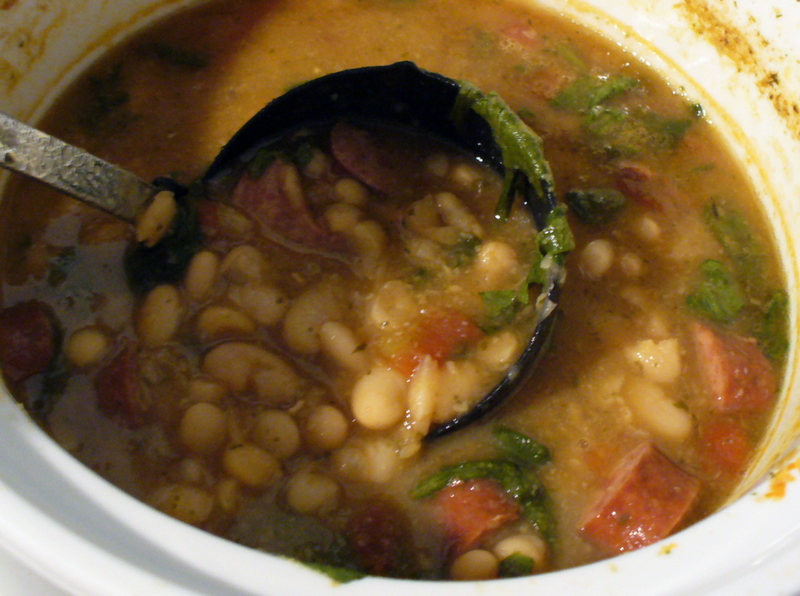 PLEASE go to Kalyn’s Kitchen right now, and print out your copy of her fabulous Slow Cooker Kielbasa and White Bean Stew. It may very well possibly be THE best stew I have had in a while. And it is ridiculously easy to make! I followed her directions almost completely. Instead of the chicken broth, I used a small can of a low sodium beef broth because that’s honestly what I had on hand. I made up the difference in liquids with some water and extra seasonings. 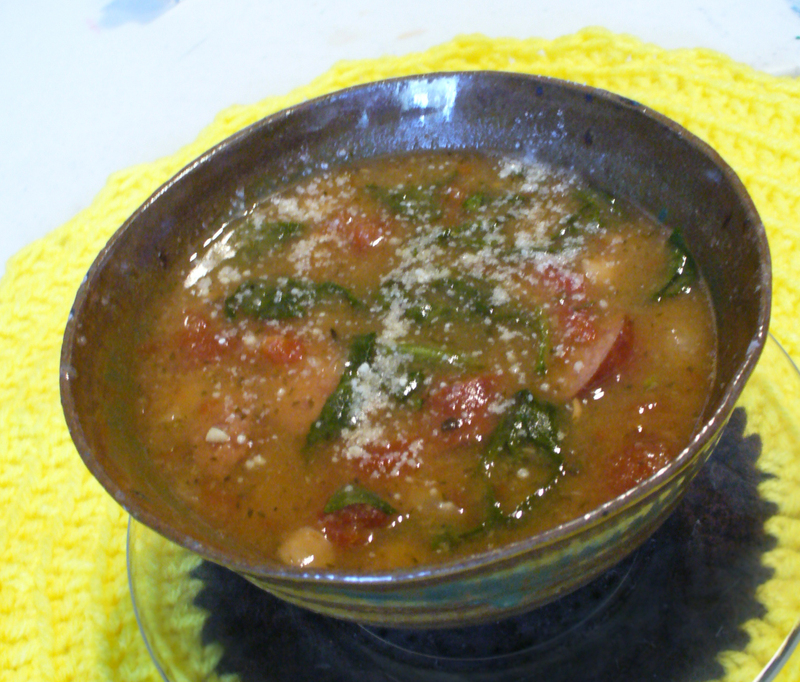 I added a good small scoopful of fresh, loosely cut basil to my version. Additionally, I only had about 2-3 cups of spinach on hand, so that’s what I used. It was still FANTASTIC! 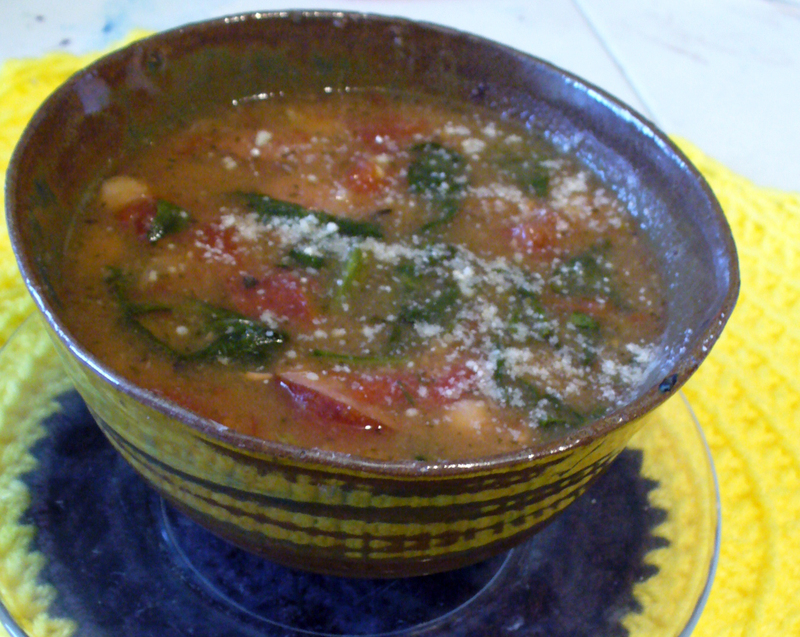 I let mine cool with the top off, so I could get a more concentrated soup (I like mine a little thicker!). I absolutely LOVE this soup. This is a perfect addition to my Primal/Paleo Lifestyle change I am trying to make. Thank you so much to Kalyn for sharing this! Like I said, PLEASE go over and get a copy of this must have recipe asap! While you are there, make sure you check out her new site “Slow Cooker From Scratch”. I’m subscribed and ready for more savory crock pot delights!